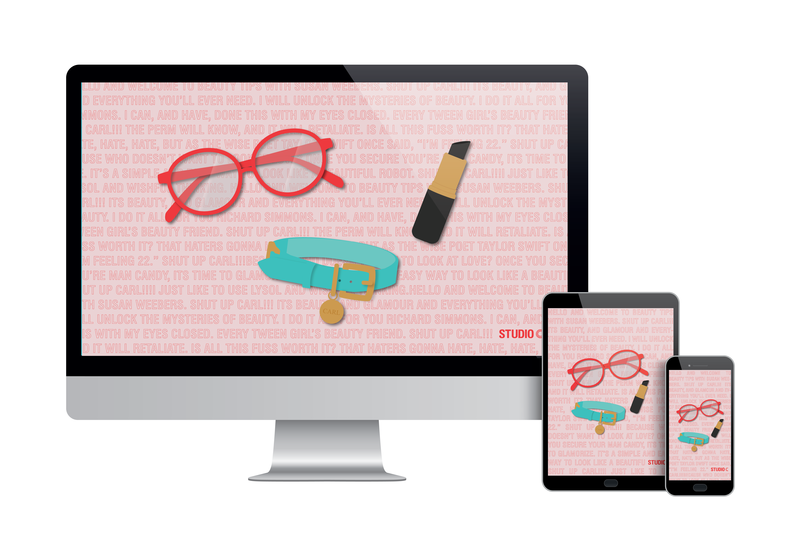 This month's Studio C wallpaper is inspired by the iconic beauty vlogger, Susan Weebers! 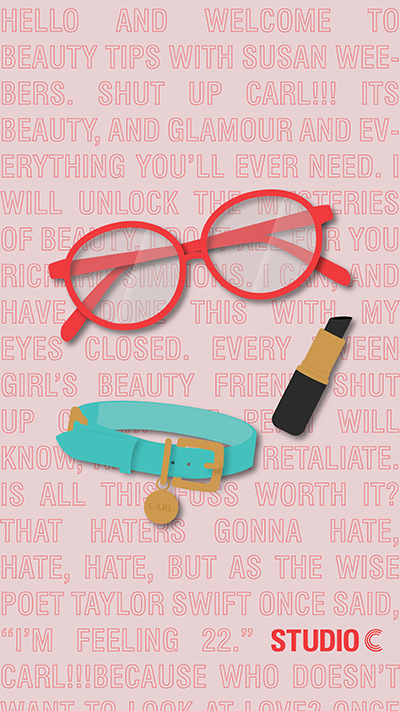 With some stylish glasses, lipstick, and a Carl collar (try saying that 5 times fast), this wallpaper is perfect for all you Susan Weebers fans out there! 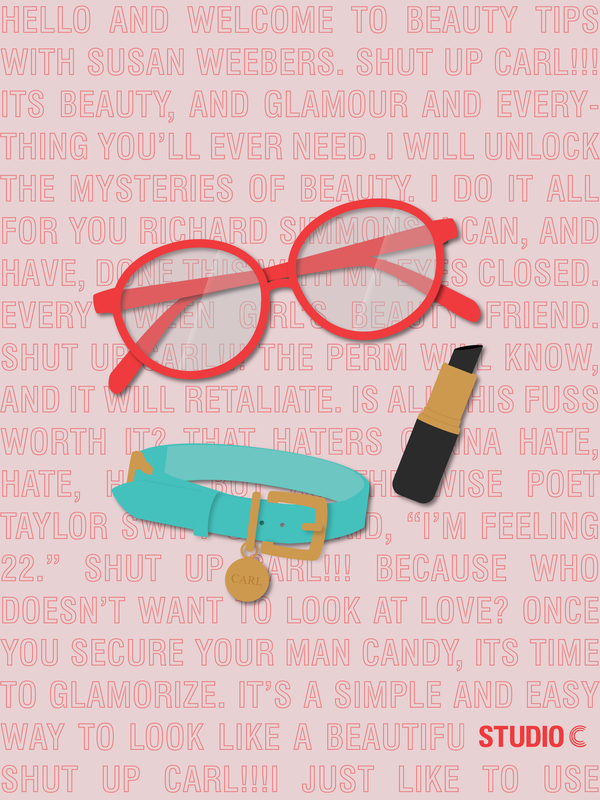 Scroll down to download versions of this wallpaper for your mobile, tablet, and desktop device. Download "All Things Susan Weebers"
To get the "All Things Susan Weebers" wallpaper, simply click the "download" buttons below! 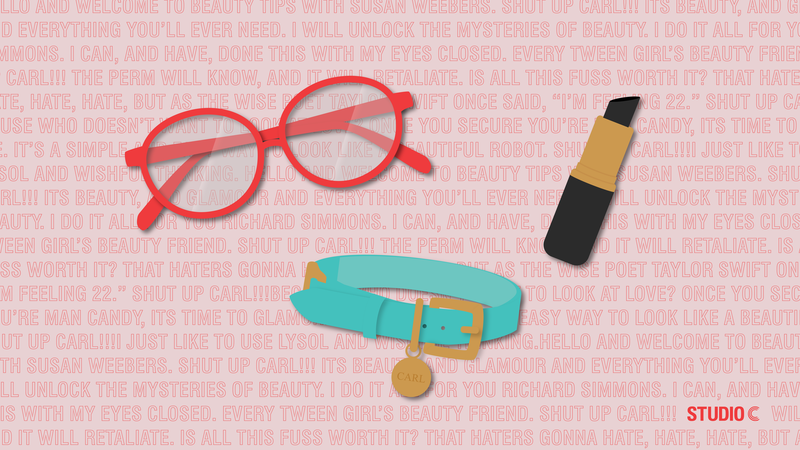 Don't forget to check back next month for an all-new Studio C wallpaper! To download all Studio C wallpapers, CLICK HERE.